A message is the word that can be used by all of us a thousand times a day. Today’s world connected with mobiles that help us to be in contact with friends, family, colleagues, etc. Messaging apps plays a significant role in communicating with each other. These apps help by sending messages within a blink of an eye. Google Play offered us with a number of best android messaging apps; only you have to choose best from it that may fulfill all your necessities. A good messaging app is the need of today’s world. No matter where ever you are messaging apps helps you to stay connected, especially if you are a businessman then these android apps act as fuel to your business growth. Here, in this article, I am giving you all information about the top messaging apps and their feature and disadvantages of using the apps that may help you to choose the best for you from the given list. Whatsapp is the messaging app that is used by most peoples in the world. It is an easiest medium to start a group chat and voice calls. This is the simple, personal and secure app to use. This app allows you to send text messages, videos, voice messages, voice & video calls. Group calls feature of this app supports up to 4 participants. Whatsapp is an internet-based messaging app so, if you want to send or receive messages or calls, you need to have an internet connection. You can share multimedia messages like voice messages, photos, documents, and videos. This app comes with unlimited free calling even if anyone of your relative or friend is out of the country then also you can call them without paying a single penny. You can create groups of friends and family and enjoy group chatting. International messages can be shared without paying any charges. It works only on phone number no need of username and pin. There is no need to remember difficult names any more it connects quickly with your contacts who have Whatsapp installed in their mobile. Except this you can share locations, set custom wallpaper, notification sound, exchange contacts, a broadcast message to multiple contacts at once, and more. It has no virtual personal assistant which would make things easy. Missing of entertaining face filters. 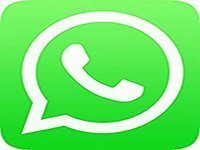 Download Whatsapp Messenger from official Google play. Hangout is a free messaging, voice and video sharing app. This app helps you stay connected with your friends and family. You can even change your message sounds and general ringtones from settings via the menu section of this app. It includes all the contacts, and up to 150 members can be added for group chats. Without typing message, you can say it through emoji, videos, stickers, animated GIFs, and share locations as well. You can do free group video call up to 10 contacts. 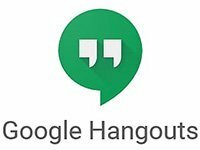 It connects Google voice accounts for SMS texting, phone calls, and voicemail integration. 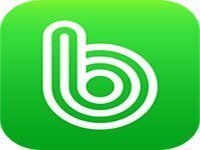 This free texting app helps you to keep in touch with all contacts of Android, iOS and the web. Only calls to hangout users are free for other calls you might be charged. ISP and mobile carrier charges are applied. Google play ratings for this app are 4 stars out of 5. Facebook is the best messaging app for those who want to chat with friends with whom you have not shared your contact number. This app is fun-filled, simple and easy to use. This text app allows you to get in touch with your loved ones any time with its simple way to text. With this you can enjoy the new color gradients that make your chat colorful too! Without sharing your contact details, this text app allows you to send messages. It is a best messaging app to express your thoughts through emojis and dancing GIFs. You are able to send voice messages. You can share photos and videos with friends by adding filter and doodle. By using this app, you can play games with friends. You can use this app for SMS and messenger both. Sharing of location with friends for meeting up is simple with this best texting app. Send money securely feature works only in the US, UK, and France. Users are forced to use the messenger app if they are using Facebook. It takes a lot of space around 100+ MB if you use Facebook and messenger both. GO SMS Pro is the best android messaging app with free fast and personalized themes and emoji. This app gives you a better experience for SMS and MMS. This app became 100 million users’ choice. This app is simple and fun-filled. This app contains lots of attractive schemes and lovely stickers. This app protects your privacy by providing you with a private box to encrypt messages. Instant notification for new messages for quick viewing and replying. More than 8000 devices will be supported by dual SIM matching. 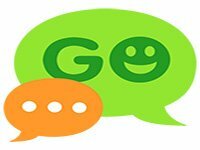 GO Chat supports free messages and group chats. Other than this Pro version includes features like disabling of sponsored messages, an advanced private box for hiding entrance, unlimited cloud storage for message backup and all paid themes are free to enjoy. It occupies more disk space. RAM will be used more. Viber is the fast and highly secured app for messaging and calling. 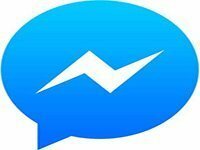 This messenger is a choice of 1 billion users worldwide. This is the best android messaging app for texting and high-quality crystal clear call. To use this app you only need a data plan or Wi-Fi connections. 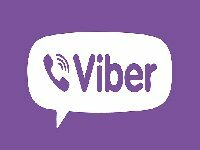 By using Viber, you can do low-cost landline calls with Viber out call anyone who doesn’t have Viber or internet connections. You can send free messages. This app allows you to do group chat with up to 250 members. This app provides 100% security to chatting and calls. You can share locations and exchange contacts with friends. You can mention friends in the group, so they don’t miss out anything. Broadcast messages to various contacts. You have to pay the amount of US $ 8.99 for every month to call non-Viber numbers. According to Google Playstore, it has 4.4 stars out of 5. 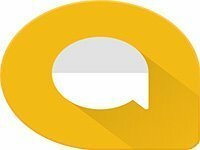 Google Allo is the only smart messaging app comes with 24/7 Google assistance. This is the best texting app that helps you to say more and do more. By using this app, you can express yourself in a better way with emojis, sticker, and smart reply. You can reply without typing a single word with its smart reply feature. You can send photos by doodling on them or add text by using its INK feature. This app comes with perfect stickers designed by independent artists and studios from all around the world. You can change the size of the text by just swiping to shout or say it loudly. Some features of Google Allo is available in selected countries. ISP charges and mobile carrier may apply on using this app. According to Google Play, this app has 4.3 stars out of 5. 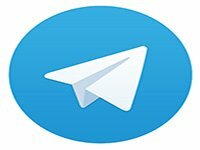 Telegram is the app that focused on speed and security. This messaging app has more than 200 million satisfied users. This app considered for pure instant messaging, simple, fast, secured and sync across all your devices. You can access your messages from all your devices at the same times. This is the fastest messaging app available in the market at present. Unlimited sharing of photos and videos with no restriction on type and size. This is the safest way to communicate with ease in use. This is a powerful app as it provides group chat for up to 200,000 members. This is the reliable messaging app as it also works on weak network connections. This app is lean and easy to use even for new users. You are not able to select & share multiple files and send at once. It comes with video and audio chatting, but these options are not available in the app. 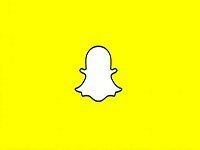 Snapchat is another best android messaging app that came up with a fun way to share photos and videos. Snapchat allows you to express yourself with filters, Bitmojis lenses and all types of fun effects. This app turns on your camera that will enable you to click snap in seconds. You can chat with friends with live messaging and stay in touch with them, or you can share your day with group stories. You can do video chat to 16 friends at one time, and you can even use filters and lenses. This app makes you able to share locations with friends or go off the grid with ghost mode. You can save snaps with free cloud storage so that you can look back and refresh your memories. You can create friendship profile which will be just between you and your friend. Facebook and Twitter contents cannot be shared via Snapchat. You have to manually save the content to use it later because Snapchat deletes photos and videos automatically after 24 hrs. This app attracts only 12-34 years age group because it doesn’t have any features that may use by professional level peoples. According to Google playstore, it has 4.1 stars out of 5. Download Snapchat from official Google play. LINE has ranked on no.1 positions in 52 countries. This android app is designed to reshape your communications around the universe. 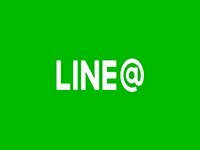 LINE allows not only messages but also voice & video calls. It is an impressive app for staying in touch with friends and family. This app allows group chats anywhere with group video calls and lets you to enjoy face to face conversations. You can create a group of 200 peoples and communicate with them at the same time. You can share stickers, photos, videos, voice calls, and locations as well for convenient chat experience. It is the app that contains fun and user-friendly features of social networking so that you can share your daily updates with your friends on the timeline. You can use the line on PC, phone, or Mac your conversations will be sync with its auto sync feature. This is the internet based app so you must have a web connection to use this app. According to Google Play, it has 4.2 stars out of 5. The Band is another fantastic app designed for communications with your loved ones. The BAND app is perfect for the group communication as it allows generating your group with features like shared calendar, to-do list, community board and much more. It contains a group calendar to plan your events so that you can take polls for scheduling the activity. You can call quickly to remote teams. It allows sharing files regarding work or any project, and with its community board, it keeps everyone in the loop. This app is for all age group peoples. BAND is the app that contains ads that invite peoples to use the new app. Larger groups may get noisy sometimes. Google play rating is 4.1 stars out of 5. All the apps mentioned above are excellent, but I will highly recommend for Whatsapp as it loaded with almost all the features to have fun with friends, and can share your life moments with your friends by updating the status that can remains for 24 hours. We have listed the entire best android messaging app that may enhance your messaging experience. Still, you may think any other apps may give a better experience; please do share with us. Your suggestion always motivates us to work more efficiently. Stay tuned for new updates.